If you’ve ever suffered from belly bloat before, you’re probably all too familiar with the symptoms: discomfort, abdominal pain, a distended stomach, and difficulty eating and drinking. And is there anything worse than that horrible, tight feeling around the middle, when it feels like your waistband is about to cut you in two? 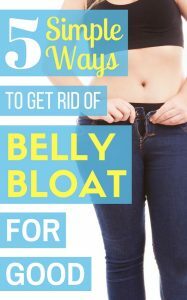 Luckily, there are some simple, 100% natural steps you can take to get rid of belly bloat for good. Water seems to be the answer to everything these days, but that’s because it’s absolutely vital for a healthy body and mind. Water helps to keep the digestion system working efficiently, moving food and drink through the body and minimising the time it sits in your body releasing gas. The recommended amount depends on your height and weight, but on the whole, you should be aiming for 2-3 liters of water per day. If you struggle to keep on top of water consumption, try apps like Water Monitor or Plant Nanny. And if it’s the taste of water that puts you off, try adding some fresh fruit or a squeeze of citrus to add flavor. These clever water bottles can help – they both infuse plain water without the need for sugary cordials AND there’s a hydration tracker on the side so you can monitor your intake. Not all fluids help with bloating. While you should definitely drink more water, avoid the carbonated variety like the plague – those tiny bubbles can lead to gas getting trapped in your stomach. It should go without saying that this applies to soda, beer, champagne, and all the other fizzy drinks out there too. Not to get too judgy over here, but there are certain habits that do nothing for the digestive system. The most common of these is overeating – this must be the number one cause of belly bloat, particularly after a carb-heavy meal. I absolutely love my food, so I find it really hard to stop when there’s food left on my plate, but by slowing things down and listening to my body it’s becoming easier to stop when I’m satisfied. And that brings me to the next bad habit – eating too fast. Scarfing down food too quickly can lead to swallowing pockets of air and bloating. Use the time-honored trick of placing your knife and fork down in between mouthfuls, and chew your food thoroughly before swallowing. Smoking can also make your belly bloat. It relaxes muscles in your intestines, slowing down the digestion process and allowing food to ferment. It can also trigger acid reflux – another nasty effect your belly could do without. And I have bad news for you if you’re a gum-chewer – it’s another candidate for ingesting pockets of air. Ditch the gum and save your gut. OK, so there’s no polite way to address this so I’m just going to go right ahead anyway: let’s talk about poop. How often you go and what you produce matters. 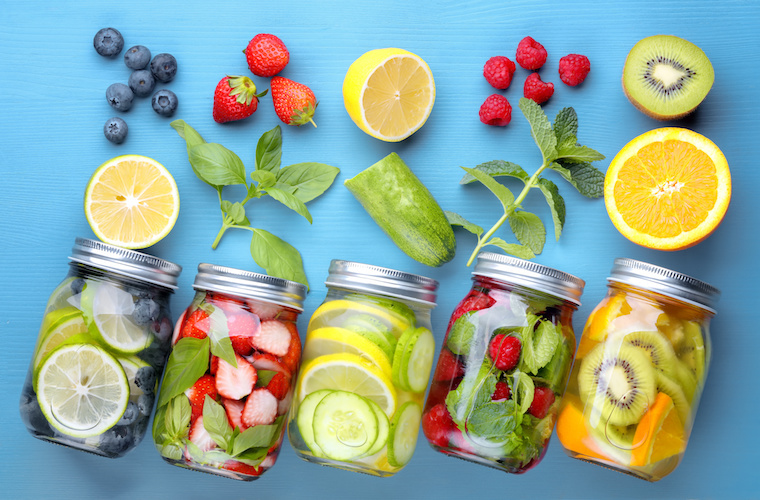 Your body is a finely tuned machine that processes food and drink in order to draw out nutrients and eliminate waste in the most efficient way possible. When that system breaks down, discomfort shows up. Constipation can lead to a build-up of gas and, you guessed it – bloating, so the aim here is to keep things on the regular. The best way to do that is by hydrating regularly, getting a good night’s sleep, and working out. At the very, very least, you should be aiming to get up and walk around for at least 1 minute every hour. It doesn’t sound like much but it makes a huge amount of difference to your digestion and your general wellbeing – so much so that Apple made ‘stand’ reminders a core feature of the Apple Watch. Finally, you need to eat plenty of fiber. 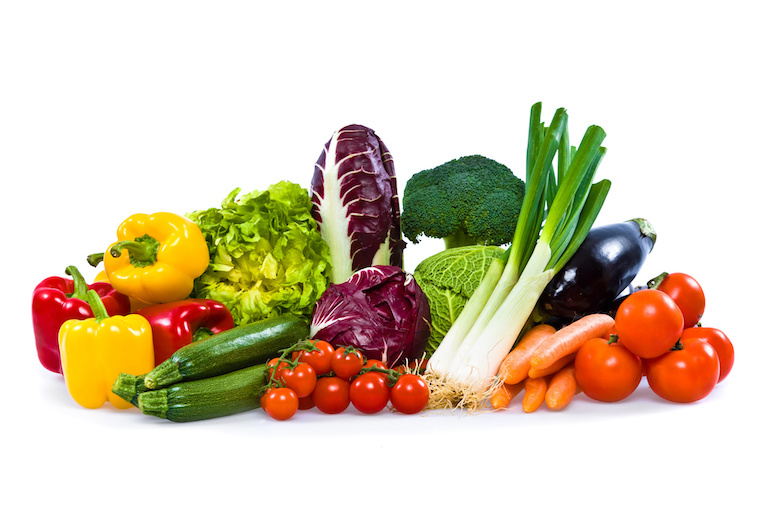 Top up the fiber in your diet by eating more fruit, vegetables and whole grains, but beware of gassy cruciferous veggies like cauliflower, Brussel sprouts, and broccoli. These guys are more difficult to digest in their natural form, so if you want to include them, try pureeing them first or making them into a vegetable juice. If belly bloat is a regular occurrence for you, try keeping a food diary and make a note every time you start to feel the symptoms. What did you have to eat and drink that day? Have you been active or sedentary? Over time you may be able to identify certain foods that trigger your bloating. Also, keep a note of the specific symptoms themselves – bloating is sometimes only half of the picture. And if the tips listed here don’t help, it might be time to visit the doctor – there are many common digestive issues and food intolerances that can cause bloating, as well as less common chronic disorders, like Coeliacs disease. For most people, however, avoiding the common bloating triggers we’ve discussed here will lead to a happier, healthier, bloat-free life. Are you on a weight loss mission? Why not download our FREE guide that outlines everything you need to know about tracking your weight loss like a pro? Most people make the mistake of relying purely on weight to monitor progress, but the bathroom scales can’t give you the whole picture. For best results, you need to combine weight tracking with 3 other measurements. Download our free guide to get the skinny.